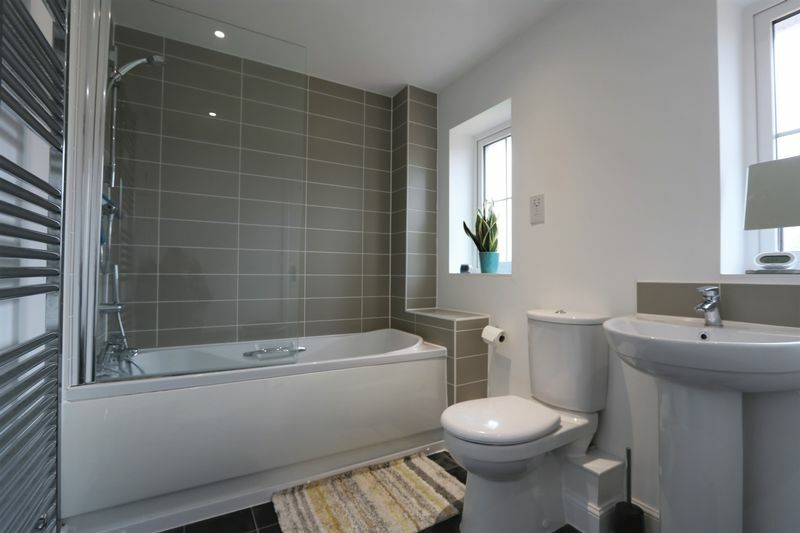 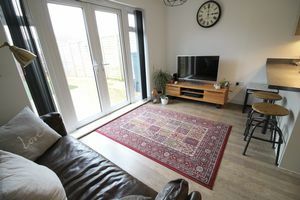 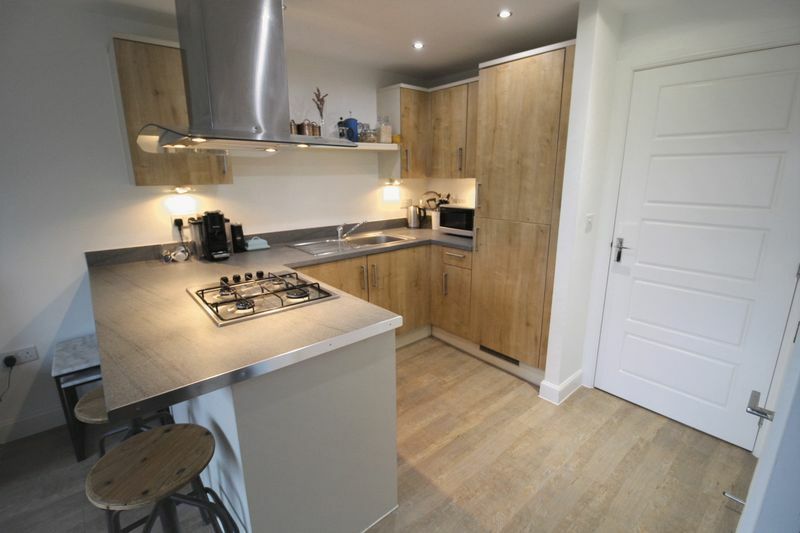 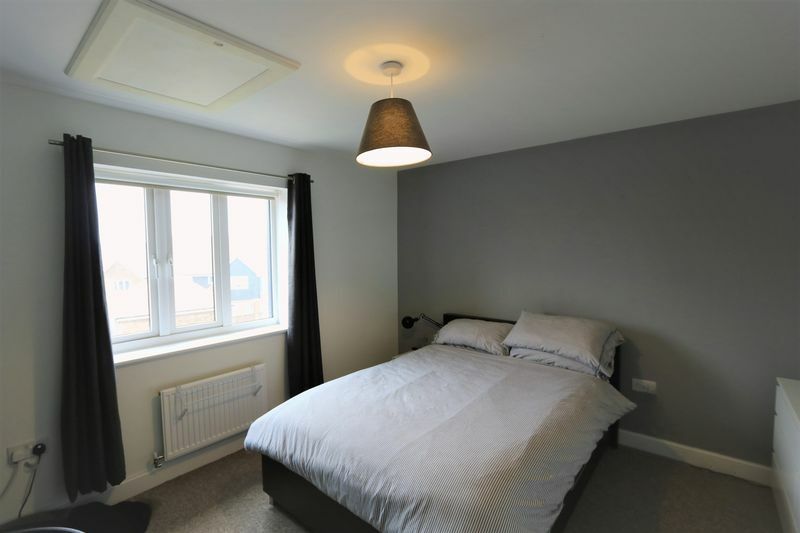 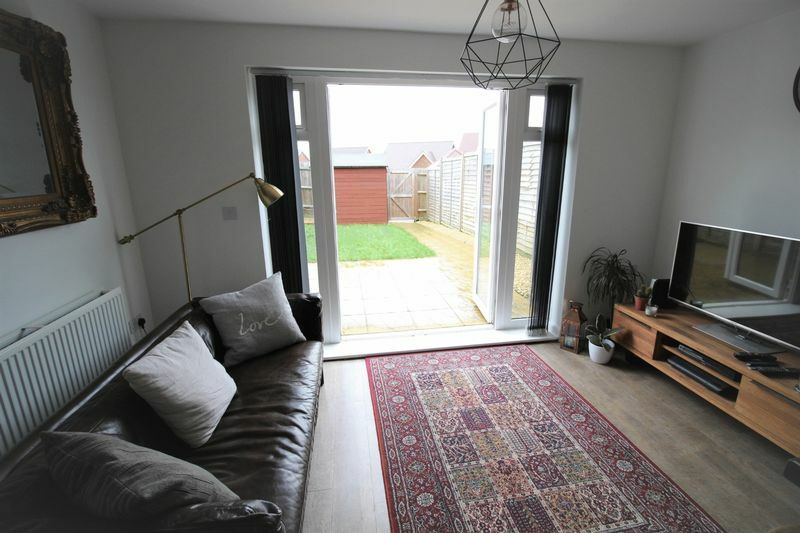 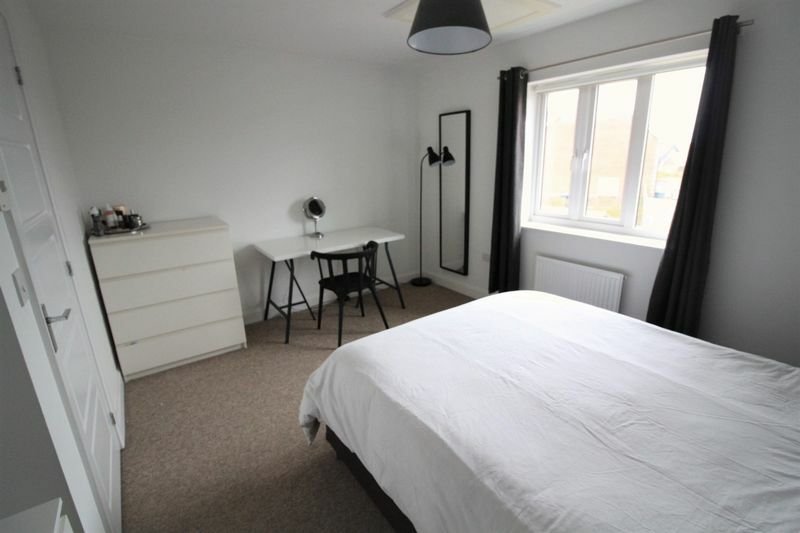 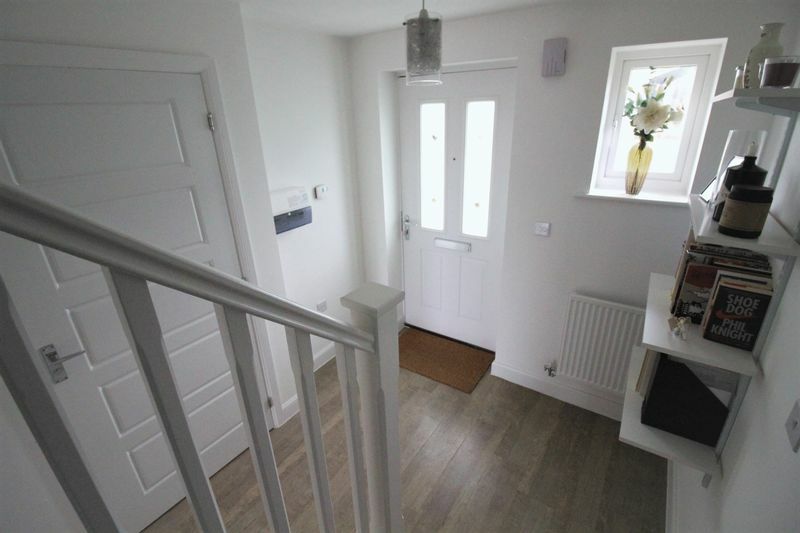 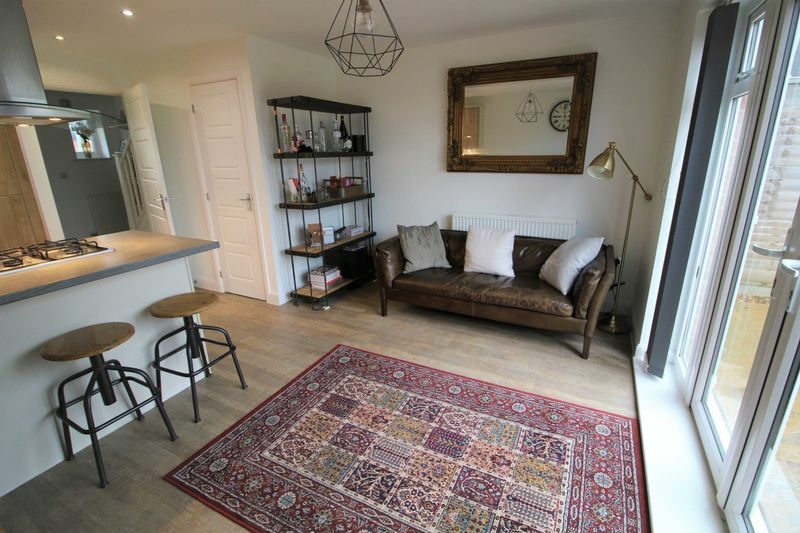 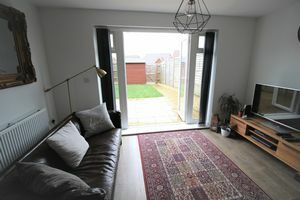 Hardings of Salisbury are delighted to offer this beautifully presented and rarely available spacious double bedroom house, that enjoys aspects over an attractive green to the front and has two designated parking spaces. 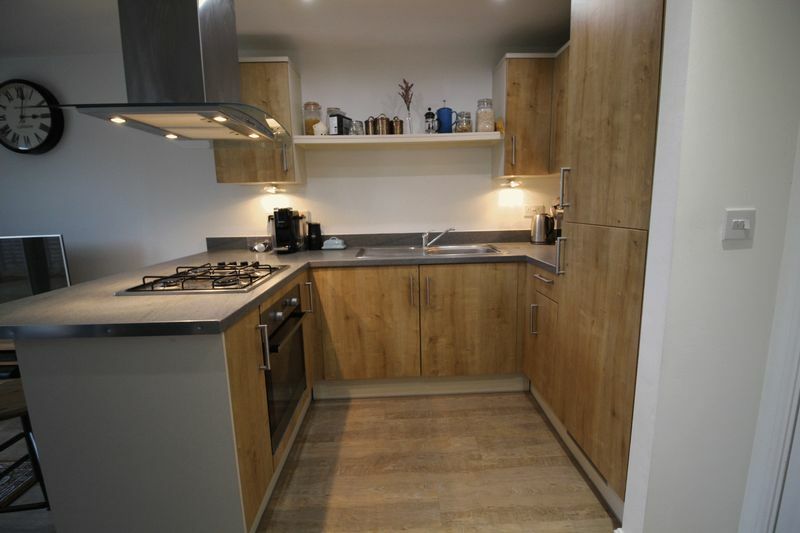 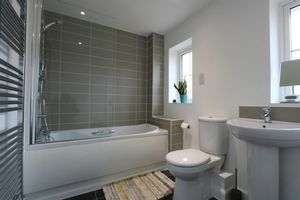 This is a property that will impress most potential purchasers. From the approach that the present owners enjoy every time they open the front door, to the large feature open porch, generous entrance hall with timber effect flooring that continues into the light and open attractively fitted kitchen, to the lounge that overlooks and has double French doors to the rear garden. 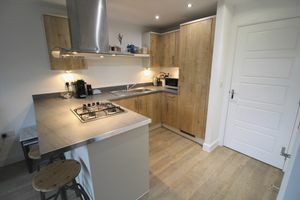 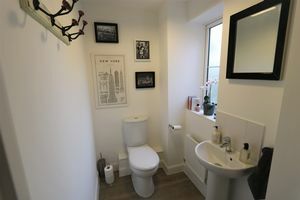 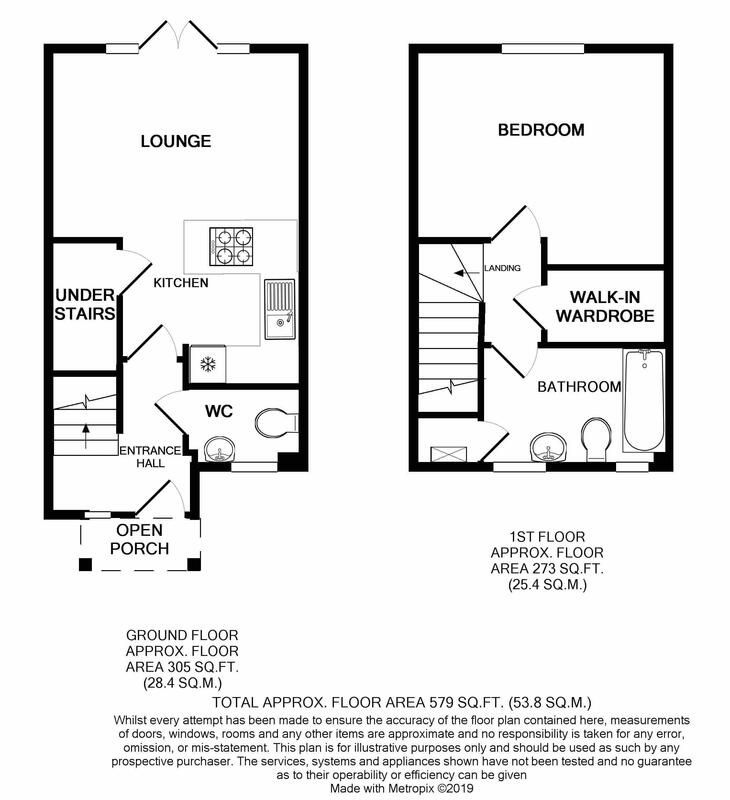 Upstairs the landing has doors to the large double bedroom, walk-in wardrobe and spacious bathroom with built in shower. 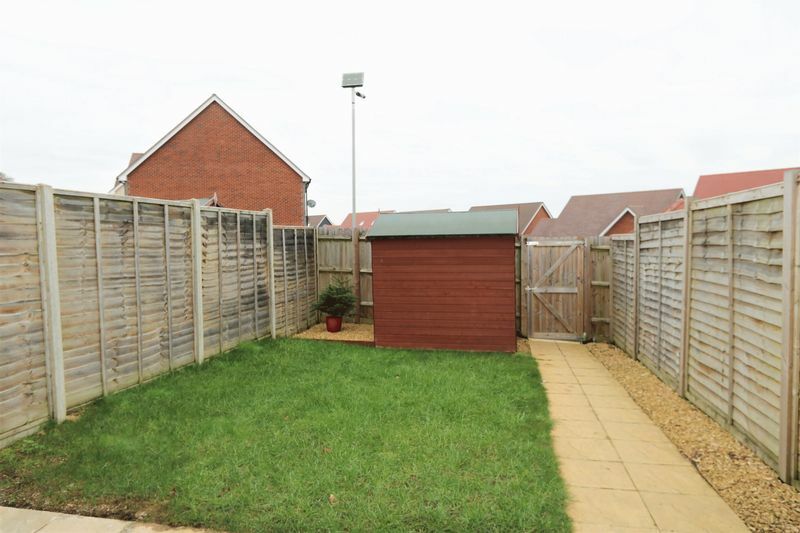 The back garden is larger than might be expected for a modern house and enjoys more privacy from the rear than most. 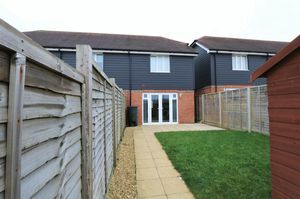 There is an extended paved patio and path to an access gate at the rear that opens onto the two designated parking spaces. 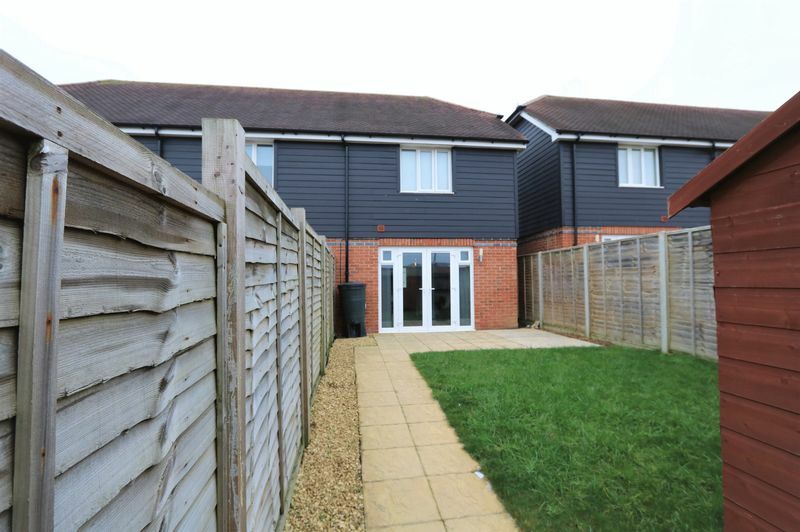 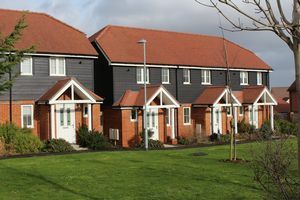 Applin Road is part of the recently completed 'Riverdown Park' development, on the edge of the permanently sought after Bishopdown Farm and Hampton Park part of Salisbury. 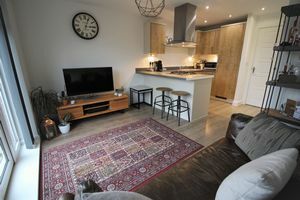 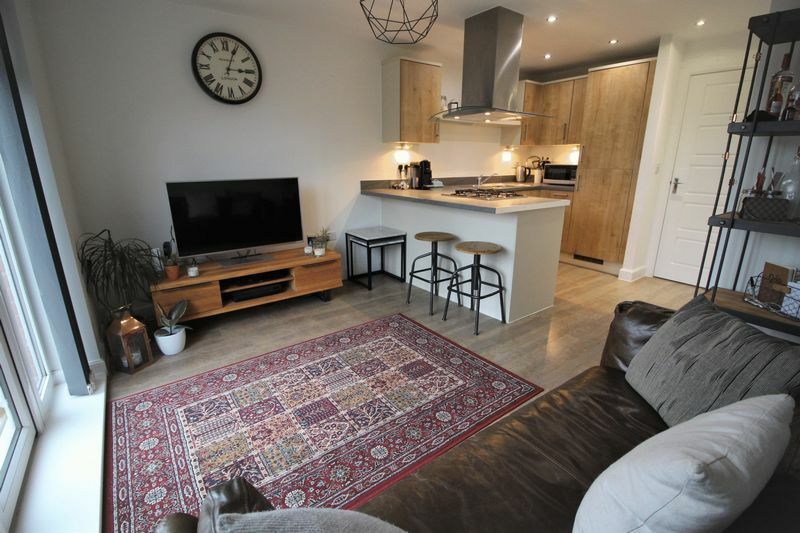 Approximately 3 miles from the city centre and mainline train station, there are local facilities including general stores and a restaurant public house. 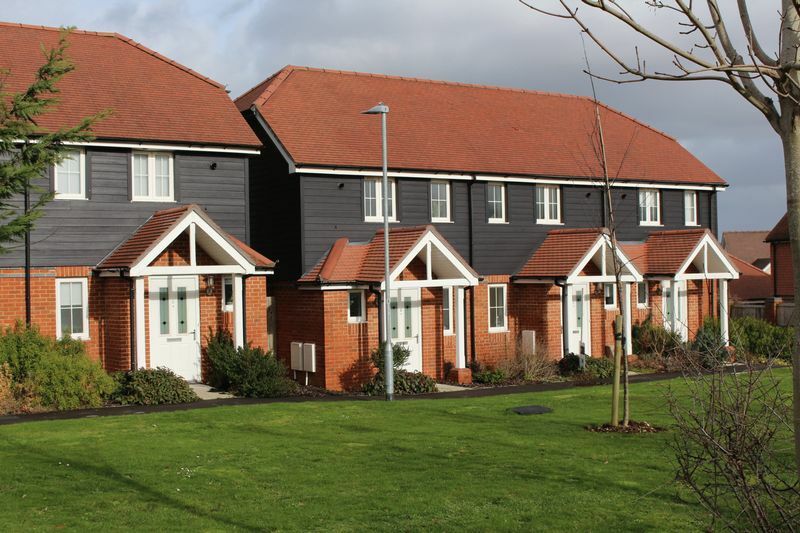 Salisbury city centre offers an extensive range of shopping, cultural and leisure facilities.